Please join the team at our expanding Waltham Creative Start Children's Center and help us reach our Mission to provide high quality comprehensive education and family services to a diverse population of children, ages 2.9 to 5 years, and their families. Our goal is to ensure the success of the child, empower the family, and strengthen the community. You can help by actively leading a teaching team in the planning and implementation of a developmentally appropriate preschool curriculum. The Teacher engages in positive and nurturing child interactions at all times and is responsible for completing child assessments and observations on primary children. Must have an Associates or Bachelor’s degree in Early Childhood Education or a related field and meet MA EEC Lead Teacher or Teacher qualifications. 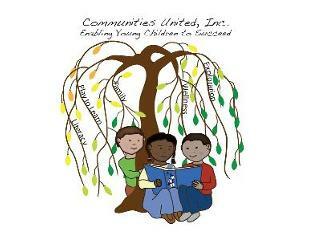 Communities United, Inc. is a non profit program that strives to offer economically integrated programs in the communities we serve, so that all children in our programs, regardless of economic status, benefit from all of our services. We believe that every child is unique and that each child deserves an opportunity to realize his/her potential. CUI is committed to operating high quality, early childhood education programs with a family support model. As an Agency that is sensitive to the needs of families and communities, we strive to initiate and support change in the lives of all we serve. We believe that assisting parents to increase their knowledge about child development and education will enhance their ability to serve as their child’s primary teacher. By fostering a strong home-school connection, CUI believes it strengthens both the child and family to be successful and ultimately strong contributors to society. We have Creative Start Preschool Programs in Newton, Waltham & Woburn. Terri Natale is committed to maintaining a work and learning environment free from discrimination on the basis of race, color, religion, national origin, pregnancy, gender identity, sexual orientation, marital/civil union status, ancestry, place of birth, age, citizenship status, veteran status, political affiliation, genetic information or disability, as defined and required by state and federal laws. Additionally, we prohibit retaliation against individuals who oppose such discrimination and harassment or who participate in an equal opportunity investigation.